Are you planning to apply for a home broadband? 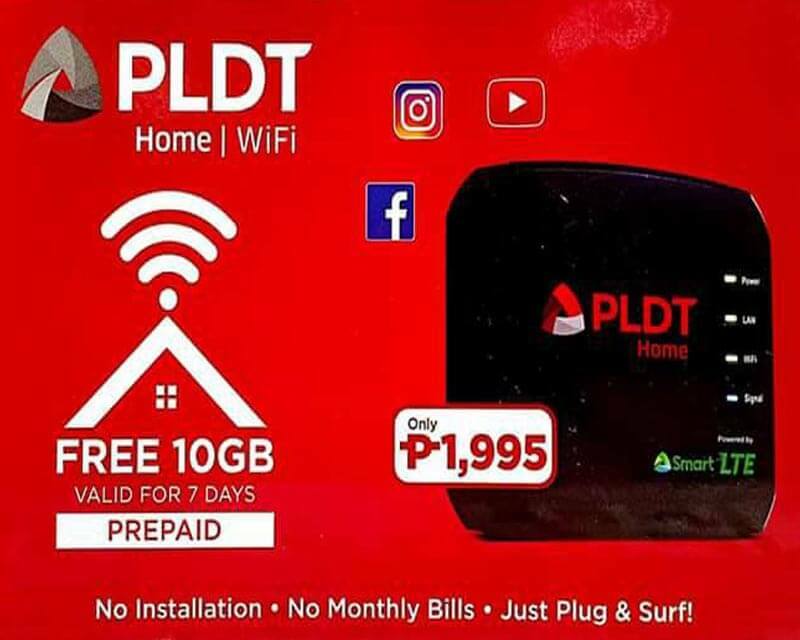 With the latest PLDT Home Prepaid WiFi, you can now make your plan into a reality without worrying the monthly bills. It is pay per use internet connection so you do not have to pay fixed amount even if you are not using it. You will be the one to decide when to use the internet by reloading your prepaid account. It’s powered by fastest Smart LTE network, which is an advantage in those areas covered by their 4G/LTE connectivity. You can connect up to 5 devices at the same time and spend will depend on the browsing activities of each user. You can own the device for only 1,995.00 pesos. Upon activation, you will receive a free 10GB of data that you can use for 7 days. After you have an affordable internet promo that you can register. No installation needed. You can simply plug the device and you’re ready to use it anytime you want. Once the free load expired, you can reload your account using the mobile number indicated at the back of your modem. You also have a dashboard page where you can monitor your remaining data and usage.